During the years of communism, Albania was the most closed country in the world. It was the only country, at the time, that had written into its constitution "there is no god" of any kind. Most people who believed in any type of god were either imprisoned or killed. This instilled a fear in the people and destroyed any type of local church movement. Albania was one of the few, if not only country, that did not have an underground church movement during communism. The Albanian dictator thought that the Russian form of communism had become too conservative and broke ties with both Russia and China. This isolated the country for 50 years and instilled a fear in the people that crushed any dreams or purpose the people of Albania had. When communism fell, the country was finally opened to the gospel. There was a very large movement of missionaries that came in at the beginning, and a lot of evangelism started happening all over the country. For the first time in 50 years, people heard the gospel. Today, the church is still very young, but it is exciting to see a foundation being laid for the future of the local church. However, because fifty years of spiritual darkness and martyrdom, less than one percent of Albania’s 3.6 million people are evangelical Christians. When communism fell in Albania there was a vacuum that needed to be filled. Not only missionaries of every religion, but fashion, entertainment, technology—everything poured into Albania, completely overwhelming the population. 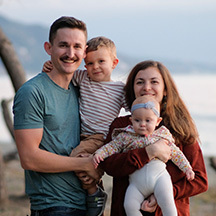 As Josiah Venture looks toward the future and ministry among the youth in Albania, we see that there are many young people who are seeking satisfaction in everything but the One who truly satisfies the soul, Jesus Christ. 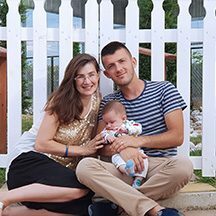 A small Josiah Venture team is working to introduce Christ to young people in Albania through evangelistic camps. They are also working with a youth group and planting youth groups they hope will become church plants. In addition, they are training young leaders. Please pray with us as we hope for new movements of God among the young people in Albania that will transform lives and impact His Kingdom. Pray also for more laborers to come and minister among the youth in Albania through this ministry. We are praying that this generation brings a spiritual awakening for perhaps the first time ever in Albanian history.